Nearly every roll of Red Brand fence is designed for a specific use. Even the smallest details are taken into account – Keepsafe’s closely spaced v-mesh prevents circular horse hooves from getting caught. Deer & Wildlife’s wires reach over 8 feet tall to keep even the highest leaping bucks out of your property. Odds are, Red Brand has a fence that was designed specifically for your purpose. However, not all fences can be exclusive to one need. For projects that call for a variety of applications, consider Utility Fence. Intended to be a jack-of-all-trades, this fence offers strength and rigidity for a variety of outdoor applications. While there is no such thing as overprotection, our thickest wire is probably not necessary to keep rabbits out of the garden. On the other hand, our Stockade Panels are welded with quarter inch wire to keep bulky swine and other large animals safely contained. Depending on the style, Red Brand fence is built using 10 different thicknesses of wire. Read on to learn which thickness, or gauge, is best for your fencing project. Does Rust Affect Fence Integrity? They say that rust never sleeps. So how, then, can you? If you have livestock, orchards or pets, it’s likely you rely on fencing to protect them. You want to be rest assured that your fence will keep your animals and property safe. Of course, proper installation of your wire fence is key. But, when your fence begins to rust, what happens to its integrity? Red Brand’s founder, Peter Sommer, built and repaired plenty of wooden fencing in his time. It was hard, back-breaking work. As a result, he sought an easier, better way to make fencing. He needed something that would last longer while protecting his valuable livestock. So, in 1889, Sommer invented the first fence weaving machine. 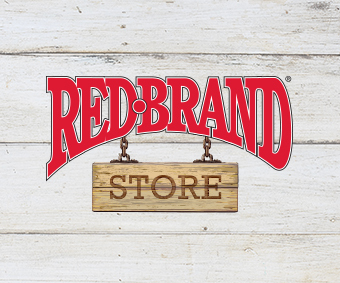 From dogs to horses to herds of cattle, Red Brand has a fence that will safely contain your animals for years to come. To maximize your fence’s strength, proper installation is crucial. The easiest way to assure both longevity and durability is to install your fence on the proper side of the fence posts. By doing this, you are keeping your animals safer and your fence stronger.